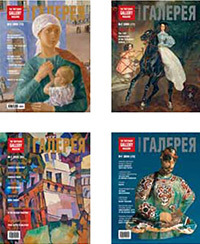 I am very happy to introduce a special issue of the Tretyakov Gallery Magazine to both Russian and American audiences. 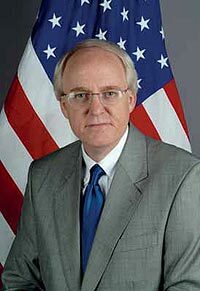 The American Embassy in Moscow enthusiastically supported the initiative, which aims to acquaint the general public with American art and the legacy of prominent American artists, many of whom have Russian roots. I am confident that the publication of this special issue of the Tretyakov Gallery Magazine is a step towards the strengthening of cultural ties between the people of Russia and the United States of America. On the eve of the New Year, I would like to take this opportunity and congratulate all the readers of Tretyakov Gallery Magazine and wish you health and happiness in the upcoming 2011! Introduction to the Special issue "USA–RUSSIA: ON THE CROSSROADS OF CULTURES"
The cultures of Russia and America, as well as the histories of our two great nations, share much in common. The concept to produce a special issue of the Tretyakov Gallery Magazine arose as the editors accumulated and published more and more articles about Russian-American cultural ties. The US Embassy in the Russian Federation generously awarded us a grant for the project, which enabled its production. During this 150th anniversary year, the halls of the Treyakov Gallery have presented many brilliant special exhibitions. 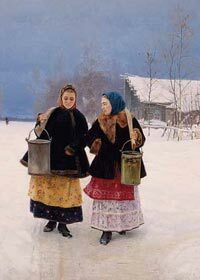 There has also been great demand abroad for exhibitions and works on loan from the Tretyakov collection. Shows in Paris, Madrid, and New York have been tremendously successful, and Bonn and Phoenix are among the cities which will host future exhibitions. Everything was destined to be called "new" in the New World - New York, New Hampshire, New Jersey, not to mention New England and New Britain. To balance all this newness something needs to be old as well, like Old Lyme, where the Florence Griswold Museum - a landmark institution of Connecticut - is located. The Museum is also called the "home of American Impressionism" as a great many of America's Impressionists enjoyed the warmhearted hospitality of the really vivacious Miss Florence Griswold. Her home became their home from 1899, when she opened the doors of her late Georgian mansion to artists. Soon a boarding house was turned into an artists' colony centered around Miss Florence - "a born hostess, with that lovely air and remarkable gift of making her guests feel that it was their home, and she was visiting them". That was how Arthur Heming, the artist who was a member of the colony for ten years, described his impression of Florence Griswold in his book "Miss Florence and the Artists of Old Lyme." It was she who managed to make the brotherhood of artists a most famous summer art colony in America. 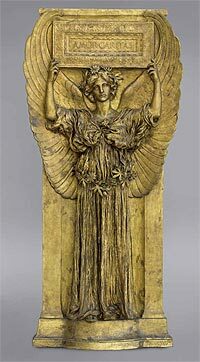 Augustus Saint-Gaudens (1848-1907) was the foremost American sculptor of the late 19th century. From humble roots, through his prodigious talent, he rose in society, eventually counting some of America’s most influential figures in art and literature, diplomacy and economics, technology and social policy among his friends and patrons. The exhibition “Augustus Saint-Gaudens in The Metropolitan Museum of Art”, on view at The Metropolitan Museum of Art from 30 June through 15 November 2009, draws from the Museum’s collection of nearly four dozen works by the accomplished artist, many of which were acquired directly from the sculptor or from his widow, soon after his death in 1907. Organized thematically within a chronological framework, the exhibition charts his illustrious career with works representing the entire range of his oeuvre, from early cameos to innovative painterly bas-reliefs, to character-penetrating portrait busts and statuettes derived from his public monuments. For decades, no figure in the museum world has been better known or more highly esteemed than Philippe de Montebello. On 31 December of last year, after 31 years as director of the Metropolitan Museum of Art in New York, he stepped down from his post. A day later, it fell to a new director to fill his shoes. As if Thomas P. Campbell was not already aware of the task ahead, an exhibition at the Met enshrined in six crowded rooms showed just how high the bar had been set. 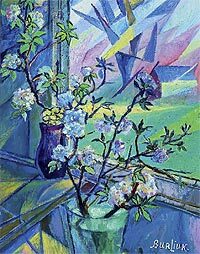 Early in the 1990s a professor from Simon Fraser University in Canada, Evelyn Harden, was working in the Tretyakov Gallery archives. 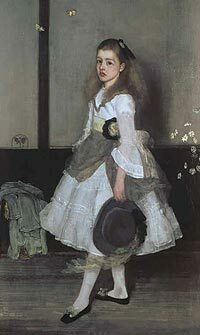 Preparing for the publication of the journals of James McNeill Whistler's mother, she requested help in searching for information about the artist's Russian mentor, Alexander Koritsky. It was Evelyn Harden who drew my attention to a little known but important fact in Whistler's biography - the years he spent in Russia, the country that this unconventional individual, with a penchant for "deliberate pranksterism" and hoaxes, called the cradle of his talent. As a researcher of the international contacts associated with Russian art, I became interested in the subject of Whistler and Russia because of its apparent impossibility. Fifteen years later this project has materialized in the exhibition "Whistler and Russia" which is to be held at the Tretyakov Gallery from 7 December 2006 to 15 February 2007. It will be one of the most remarkable events in the international programme celebrating the Tretyakov Gallery's 150th anniversary. Today, the name of Nikolai (Nicolai) Fechin is still little known to the Russian public - yet this talented and appealing artist was equally gifted in painting, draughtsmanship, wood carving, sculpture and the teaching of art. 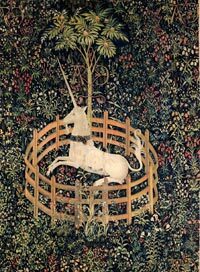 His work reflects a number of contemporary trends, although art nouveau, with its love of beauty, romantic quest for national roots and lack of a rigid stylistic models was to prove the most appropriate form for this master. Born in 1881 in Kazan, capital of Tatarstan, Fechin trained as an artist at the St. Petersburg Academy of Arts. 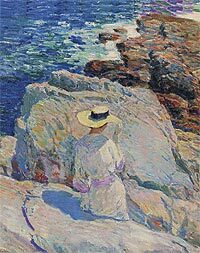 Returning to Kazan after his studies, he took part in numerous European and American exhibitions. The majority of works from this time were either sold at these events, or sent abroad to foreign coll-ectors. With the beginning of World War I, such international connections were severed: paintings created during and immediately after the war remained in Russia. In 1923, the artist was forced to emigrate: Fechin left for America, taking some of his canvases with him. 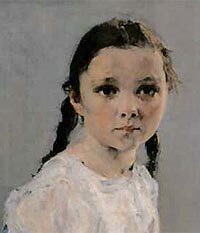 For this reason, the years prior to 1910 and the period between 1914 and 1923 are the stages in Fechin's career best represented in Russian museums. From 1923 until his death in 1964, Alexander Archipenko lived in the United States where he produced a large body of work. 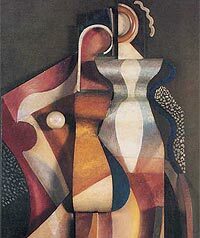 While Archipenko scholars have focused mainly on his early years in France and his contributions to Cubism, it is only now that researchers are examining the artist’s practice and the reception he received during this later period, and his place in the wider structure of avant-garde culture. Russian artists, or as they are usually referred to “artists of Russian origin" - those who left Russia for good at the beginning ofthe 20 th century, and won recognition and fame abroad and whose artworks are represented in almost all world-famous museum collections - no doubt constitute an invaluable part of the Russian cultural heritage. 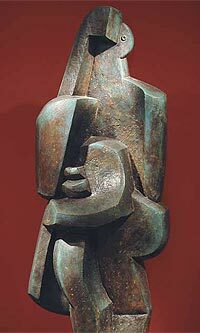 Jacques Lipchitz (1891-1973), a renowned sculptor of the 20th century, is no exception. His bright extraordinary creative activity started in France and ended in the USA. In 1928, the outstanding Russian art critic Abram Efros called Lipchitz's sculptural work "the highest and most dominant point of the Russian intrusion" into the art of the West. Lipchitz became one of the most notable adepts and advocates of Cubism and he persistently applied Cubist principles in his works, gaining enthusiastic recognition from both connoisseurs and the general public. Over time Lipchitz drew back from the movement, though in his monumental and easel works continued to visualize expressive deformations of organic natural forms, boldly shifting flat planes, resulting in a structural angularity; later he came to a looser spatial play. Lipchitz's first solo exhibition was held in 1920 and many have followed since then. After his grand exhibition at New York’s MOMA, retrospective exhibitions have been organized all over the world - at the Tate Gallery in London, in many European cities, as well as in Israel and the USA. Lipchitz's sculptures are eyecatching attractions of many a square and public building, and the artist was decorated with special awards from a number of academies and universities. In 1946 Lipchitz was awarded the Order of the Legion of Honour. Lipchitz's heritage is carefully preserved in many museums, some of which are world famous, while others are of regional importance, like the University of Arizona Museum of Art in Tucson, Arizona, situated close to the Mexican border. The author of the article, devoted to the unique collection of the sculptor’s work, is Dr. Lisa Fischman, Chief Curator of the University of Arizona Museum of Art. The very concept of American art in the 20th century brings a splash of emotions associated with the likes of Jackson Pollock, Claes Oldenburg, Andy Warhol, Mark Rothko, Robert Rauschenberg, James Rosenquist, and George Segal - the masters of abstract impressionism, pop-art and hyper-realism. However, American art in its full diversity is not limited to these great names: to my mind, Edward Hopper and } Andrew Wyeth are the most "American" - in both spirit and individualism - of the artists of the past century. 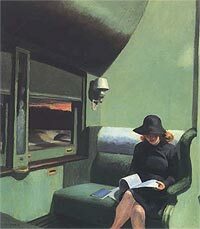 The retrospective exhibition of Edward Hopper (1882-1967) which will run until October 2004 in the Tate Modern Gallery, London, is another chance to raise such intuitive speculations. 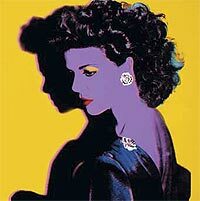 Warhol - dandy, flaneur and artist - appears as the perfect embodiment of the painter of modern life. The show of 13 great paintings by Mark Rothko at the Garage Centre for Contemporary Culture in Moscow prompts me to recall my friendship with the artist. 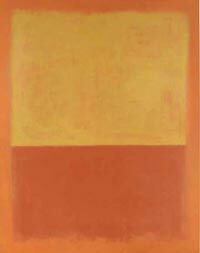 The abstractions range in date from a “multiform” of 1949, the year that Rothko arrived at his mature style, to a profoundly tragic “landscape” of 1970, the year of his death. As a young art critic, I was fortunate to witness at first hand the evolution of Rothko’s abstractions from 1956, when I first met him, to the end of his life, and to interview the artist about six times about his motivations and ideas. The unprecedented exhibition of Russian art labeled precisely and appealingly “RUSSIA!” that opened in New York’s Solomon R. Guggenheim Museum in mid-September has inspired great interest from the West in Russian art, and stimulated similar interest from the Russian side in the Guggenheim museums, particularly the Guggenheim-Hermitage Museum (Las Vegas); it is the only one of the five Guggenheim museums directly associated with Russia - and the contact is with one of the internationally most famous Russian museums. 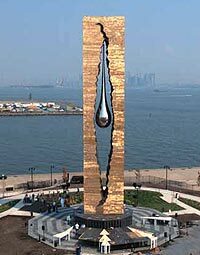 On September 11 2006 a monument to the victims of international terrorism “Teardrop of Grief” (“To The Struggle Against World Terrorism”) was unveiled at a solemn ceremony in the American city of Bayonne in New Jersey.